In the wake of the French Revolution, the cathedral was declared a "Temple of Reason" as part of an anticlerical movement. All of the original bells were destroyed and replaced — except for one, called Emmanuel and weighing 13 tons. In 2013, as the cathedral celebrated its 850 years with a refurbishment, nine huge new bells replaced the 19th-century ones. The peal of the cathedral's bells has long been famous. Quasimodo was the cathedral's bell-ringer in Victor Hugo's 1831 novel "The Hunchback of Notre Dame." The extent of any damage to the bells and their support structure is unclear. 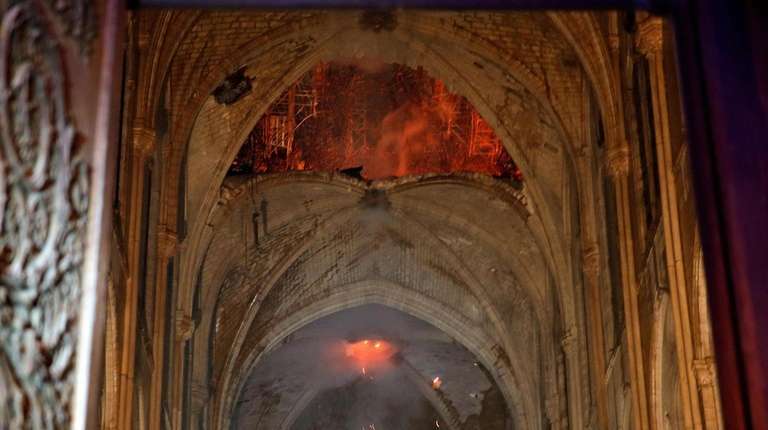 Last week, 16 religious statues got a lucky escape from Monday's blaze: they were removed from the top of Notre Dame for the first time in over a century to be taken for cleaning. The removal was part of a restoration of the cathedral's towering spire, now gone. The nearly 10-feet-tall copper statues represent the 12 apostles and four evangelists. 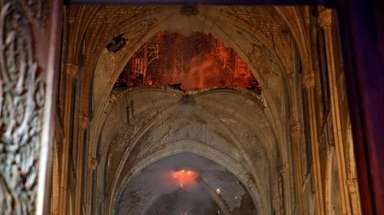 Macron wants Notre Dame rebuilt within 5 yearsThe inferno that raged through Notre Dame Cathedral for more than 12 hours destroyed its spire and its roof but spared its twin medieval bell towers, and a frantic rescue effort saved the monument's "most precious treasures," including the relic revered as Jesus' Crown of Thorns, officials said.